Beirut at night. 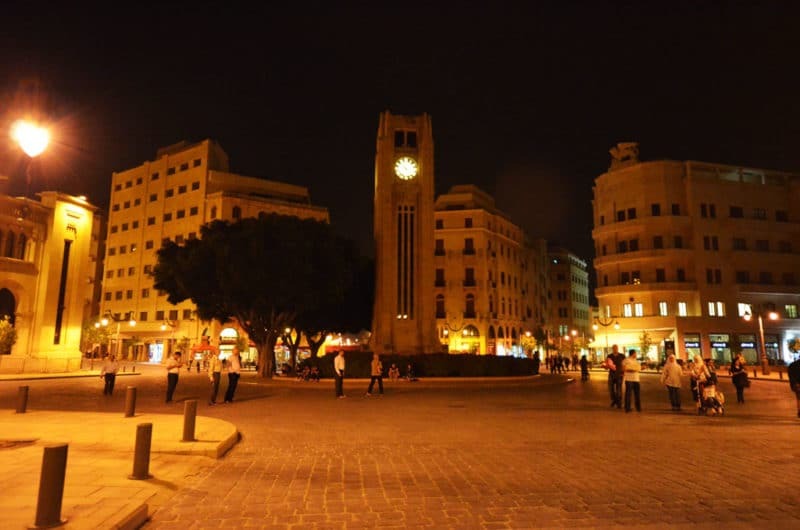 A cab driver said today of Beirut: it is most beautiful at night. Other cafes were full. This one was not. 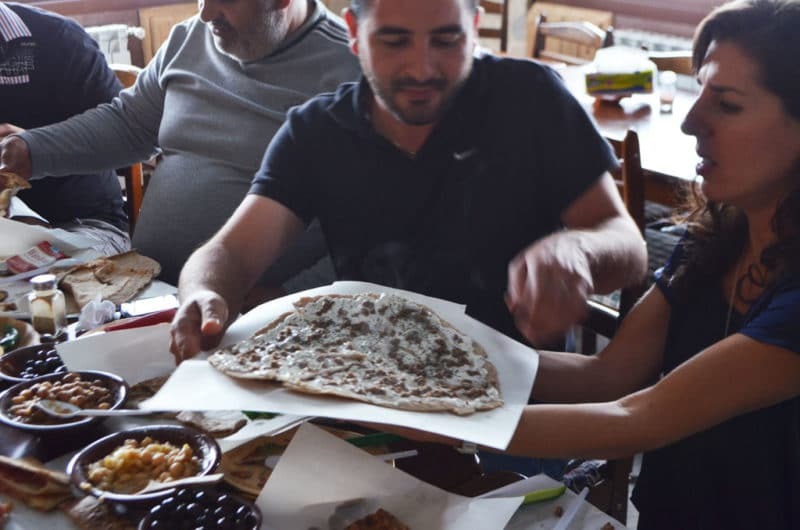 Manoushe is my new favorite food. We’ll make some, I promise. More importantly, these are my dear, new-found cousins (more, much more, to come about that). 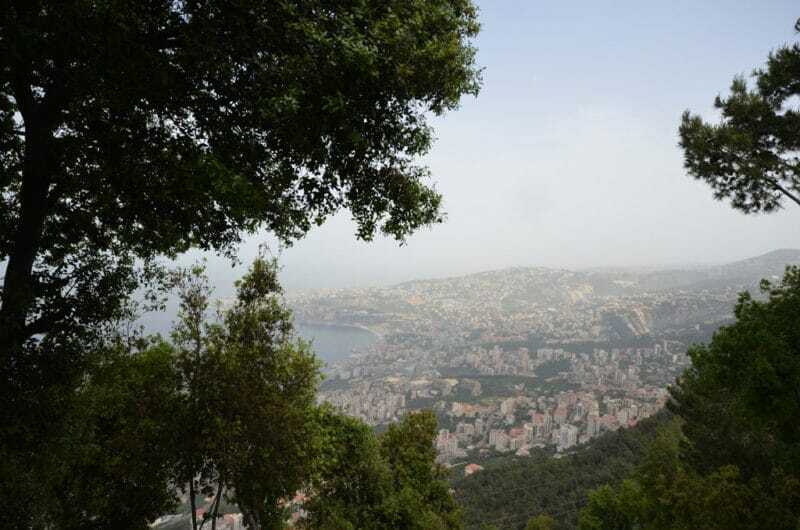 A hazy but beautiful view from Our Lady of Lebanon, Harissa, just north of Beirut. Such haze here all week…I’m hoping to catch the sea sparkling in the sun before I leave…. 15 Responses to "Postcard from Lebanon"
Thank you for these nice images from distant Lebanon. Such a lovely profile photo of you, Maureen. Living vicariously through you, Maureen. I’m eating up all your wonderful photos! I can’t even describe to you how I’m feeling right now…enjoy…as I’m so enjoying through you!! These are such fantastic photos. Keep sharing. 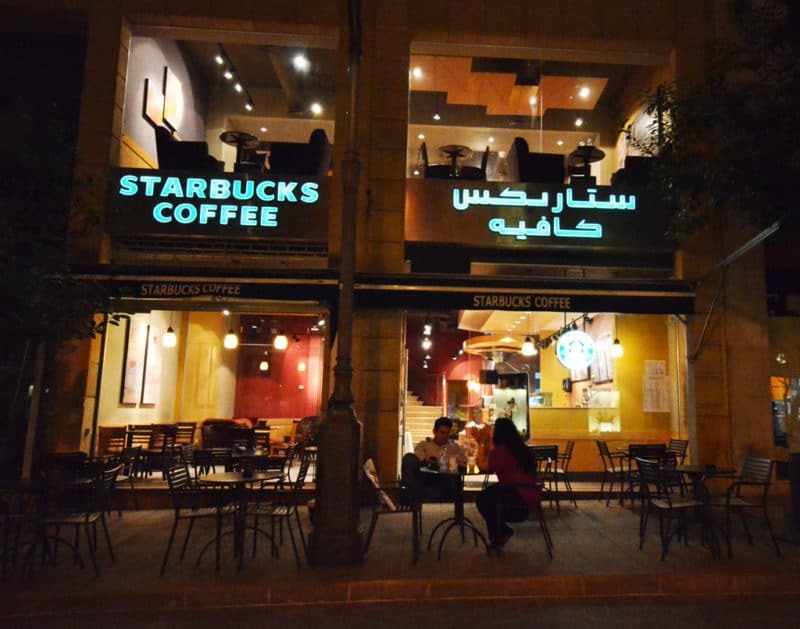 They remind me of my wonderful tour of Israel, Tel Aviv, etc…..These photos make me want to go to Lebanon. Thank you. Nothing beats fresh manaoushe!! Delicious. Love your postcards, Maureen. You’ve awakened a desire in me to go to Lebanon someday…and maybe even meet some dear, new-found cousins. Enjoy your trip. Keep the postcards coming! Ditto what Paula said above, a beautiful profile picture of a beautiful Lebanese woman. I am so excited for you Maureen. These pictures are amazing!! I cannot wait to hear more about all of this – I am thinking of you all each day! Thanks for sharing such a fabulous trip. relatives… nothing better…. And don’t forget the coffee shops!!! Looks like you’re having the experience of a life time. Always thought I would one day be a golfer, have a boat and visit Lebanon. It appears that none of that will happen but your visit certainly helps with the later. Have a great time, enjoying your photos. Everything looks so appealing, thanks for sharing. Well cousin it does look beautiful, makes me wish i will someday be able to visit. Meanwhile the picutres are beautiful, kepp them coming. I am so glad that you and your mother are having a great time. Thinking of you. Mareen, such beautiful photos and thoughts–thank you for taking me there with you! Safe journeys and looking forward to all you will share with us. Enjoy every minute and keep all your fans in the loop.